​Residential building in North Hollywood, California. ​The main objective was to reposition the gym equipment for better use of the space and to improve the gym functionality. ​The equipment was separated into individual zones allowing users to move strategically. Each zone was determined by exercise type, such as cardiovascular, resistance, free weights, core and stretch area (warm down). The resistance area was also separated by muscle group exercise (legs, chest, back, arms and shoulders). ​The free weights area and some equipment were strategically positioned in front of mirrored walls to allow users to check their positioning whilst using the equipment to monitor and maintain correct posture during the exercise. Condominium complex in North Hollywood, California. 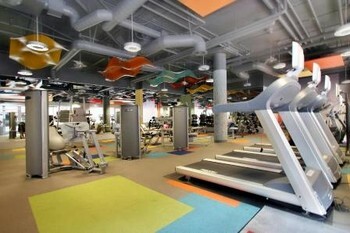 Home gym in Sherman Oaks designed and Implemented by GO﻿6﻿PACK. For all the details about this service, please contact us (Prices offered by proposal). Follow GO6PACK on Social Media, we post articles related to Fitness, Nutrition and Lifestyle. Changing lives one exercise at a time and building hot bodies for more than 20 years.